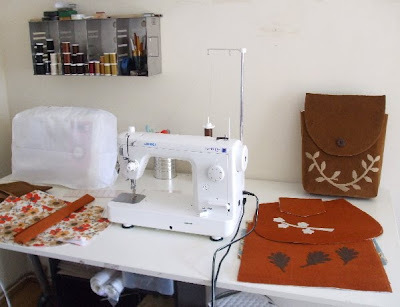 Above is a shot of my sewing station taken this morning at around 9:30AM. I've got a custom order to work on and some other bags in progress. At the moment the weather in NYC is 89 degrees Farenheit and its quite humid. I'm not tempted to venture outside so I hope to complete a lot of work today. This past weekend I added a few new purses to the shop. See images posted below. 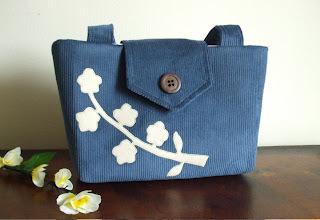 They are made from cotton corduroy, one of my favorite textiles to work with. 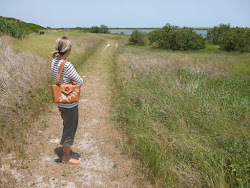 I'll also be adding more bags from my fall collection made from cotton canvas and twill. Stay tuned! 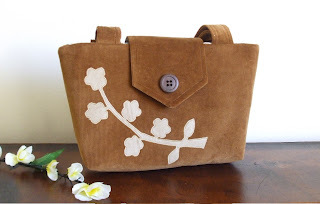 The corduroy purses are lovely! I'm a huge fan of corduroy! You have such a nice, tiday workspace! I'm very impressed. Anywhere I am working on anything it's always a mess! lol But I tidy up well. 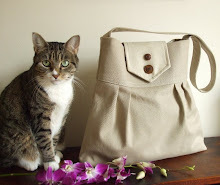 I olove the photos of your kitty with the bags you designed! He's a cutey. It's a good way to show the size too!